In light of the Cambridge Analytica scandal, it's a good idea to do an audit on your data. The personal information of as many as 50 million Facebook users may have been obtained by political research firm Cambridge Analytica, according to an expose by The New York Times and The Guardian. 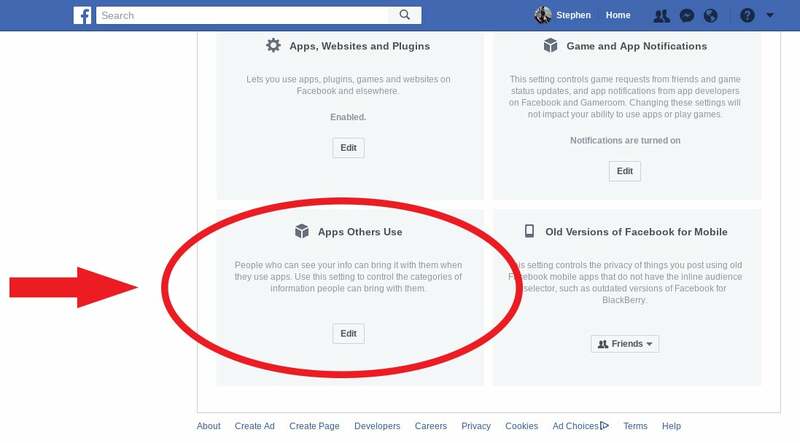 Users of Facebook are regularly asked to allow access to third-parties whenever they want to use apps, such as games, quizzes or services. According to Facebook, this information can include your birthday, relationship status, the types of media you enjoy and your religious and political beliefs. While not all businesses use this information for nefarious purposes, it is important to know what information you are allowing third-party companies to access. 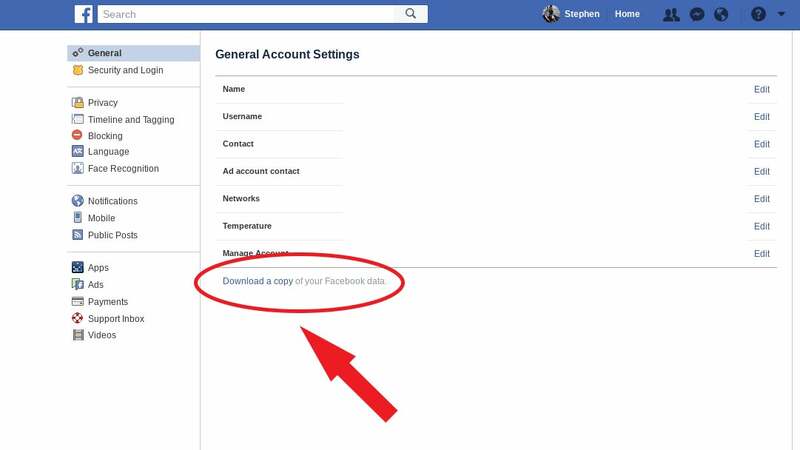 Here's a step-by-step guide to see who has access to your information on Facebook. 1. Go the settings page. Once you're logged in, go to the account settings page. On the desktop site, it's in the menu under the arrow on the upper right hand corner. On mobile, it's under the hamburger (three lines) menu. 2. Go to the apps page. On desktop, it's on the left-hand menu. On mobile, it's closer to the bottom. 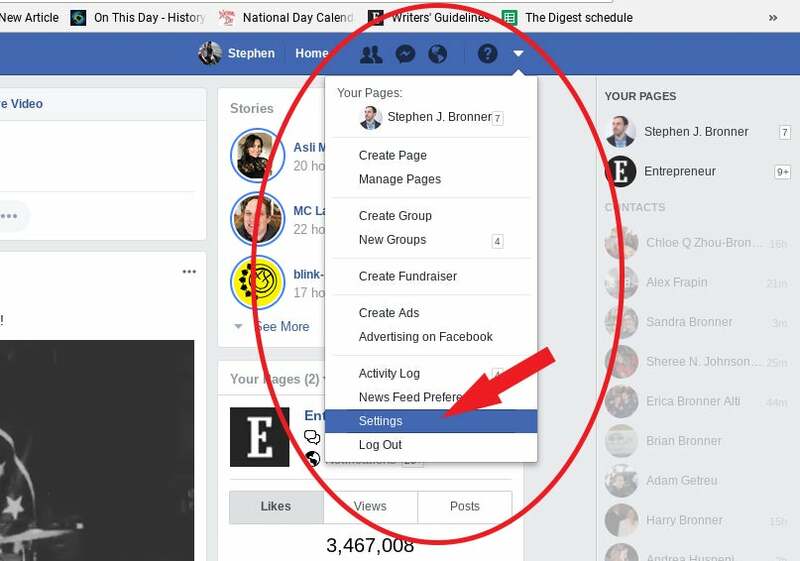 Then click the "Logged in with Facebook" button. 3. Remove apps or change permissions. This is easier on the desktop site, where you can just click the X to remove apps or the pencil to change permissions. On mobile, you'll have to click on each app to review your permissions. The remove button is at the bottom of the screen. 4. Check your permissions in the "Apps other use." Facebook describes this as "People on Facebook who can see your info can bring it with them when they use apps." Just check the information you're OK with sharing. That's it. It's important to note that removing an app won't delete your data from the developers' servers. You'll have to request each developer to do so. 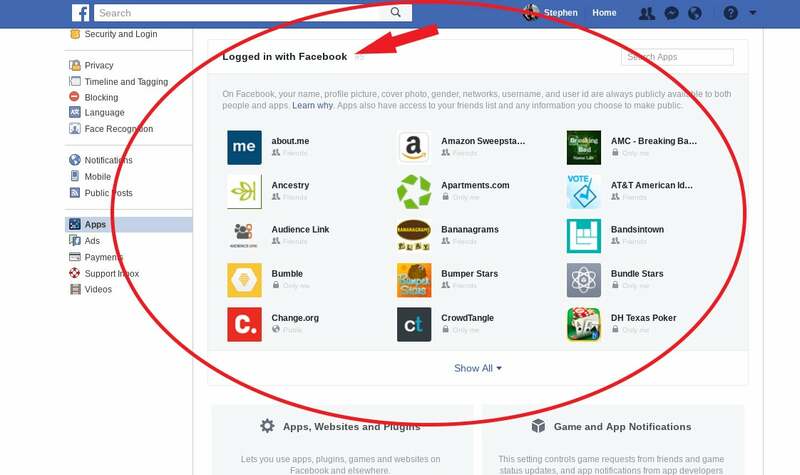 To contact a developer through Facebook, go to the app, click "Report App" then "I want to send my own message to the developer." 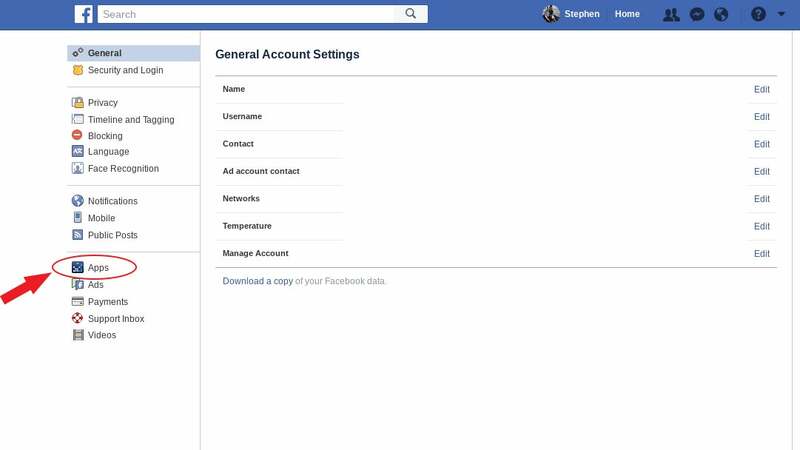 You can also download a copy of your Facebook data by going to "General" in settings.